Last week, we talked about all the things you should check before you log a bug, in order to make sure that what you are seeing is really a bug. Once you have run through all your checks and you are sure you have a bug, it's time to log it. But just throwing a few sentences in your team's bug-tracking software is not a good idea! 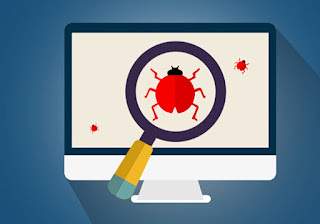 The way you log a bug and the details that you include can mean the difference between a bug being prioritized or left on the backlog; or the difference between a developer being able to find the problem, or closing the bug out with a "cannot repro" message. In this post, I'll outline some best practices for logging a bug, with examples of what to do and what not to do. Let's take an example bug from the hypothetical Superball Sorter that I described a few weeks ago. Imagine that when you tested the feature, you discovered that if three of the children have a rule where they accept only large balls of some color, the small purple ball is never sorted. Title: The title of the bug should begin with the area of the application it is referring to. For example, if a bug was found in the Contacts section of your application, you could begin the title with "Contacts". In this case, the area of the application is the Superball Sorter. After the application area, you should continue the title with a concise statement of the problem. While the second example gives at least a clue as to what the bug is about, it will be hard to find among dozens of other bugs later, when you might try to search by "Superball". Moreover, it doesn't state what the conditions are when the ball is not sorted, so if there is another bug found later where this same ball isn't sorted, there could be confusion as to which bug is which. Description: The first sentence of the bug should describe the issue in one sentence. This sentence can provide a bit more detail than the title. I often start this sentence with "When", as in "when I am testing x, then y happens". RIGHT: When three children have sorting rules involving large balls, the small purple ball is not sorted. There are a number of things wrong with this second example. Firstly, the issue happens regardless of which three children have rules where they get only large balls, so referring to Doug here could be misleading. Secondly, the statement doesn't describe what rules have been set up. A developer could read this sentence and assume that the small purple ball is never sorted, regardless of what rules are set up. Environment and browser details: These can be optional if it's assumed that the issue was found in the QA environment and if the issue occurs on all browsers. But if there's any chance that the developer won't know what environment you are referring to, be sure to include it. And if the issue is found on one browser but not others, be sure to mention that detail. Steps to reproduce: The steps should include any configuration and login information, and clearly defined procedures to display the problem. The above example doesn't provide nearly enough information. The developer won't know the login credentials for the user, and won't know that the three rules should be for large balls. These steps provide WAY too much information. It can be safely assumed that the developer knows how to log in; simply providing the credentials should be enough. It can also be safely assumed that the dev knows how to set a rule in the Superball Sorter, since he or she wrote the code. Expected and Actual Result: For the sake of clarity, it's often a good idea to state what behavior you were expecting, and what behavior you got instead. This can help prevent misunderstandings, and it's also helpful when a bug has been sitting on the backlog for months and you've forgotten how the feature is supposed to work. Screenshot or Stack Trace: Include this information only if it will be helpful. The above screenshot is not particularly helpful. 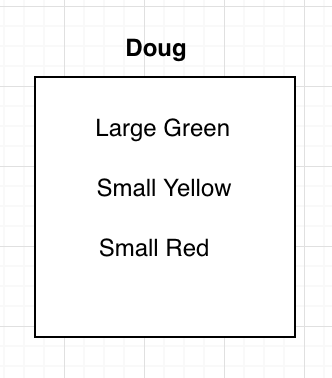 While it shows that Doug doesn't have a small purple ball, that is easily conveyed by the Actual Result that has already been described; no picture is needed. A clearly written bug is helpful to everyone: to the product owner, who prioritizes bug fixes; to the developer, who has to figure out what's wrong and fix it; and to the tester, who will need to retest the issue once it's fixed. When you take care to log bugs well, it prevents frustration and saves everyone time. 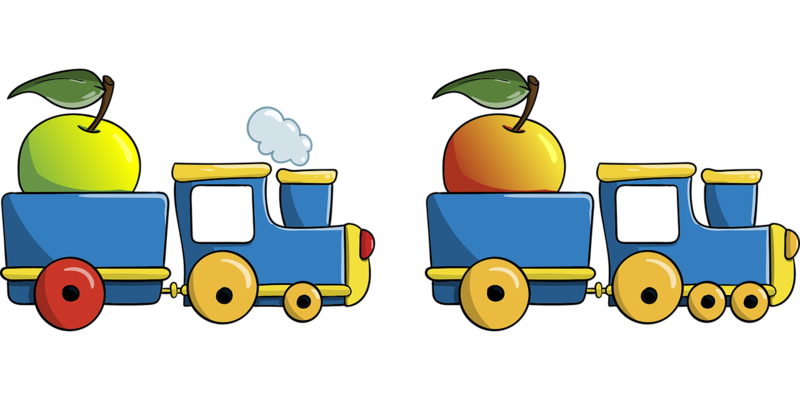 Have you heard the ancient fable, "The Boy Who Cried Wolf"? In the tale, a shepherd boy repeatedly tricks the people of his village by crying out that a wolf is about to eat his sheep. The villagers run to his aid, only to find that it was a prank. One day, the boy really does see a wolf. He cries for help, but none of the villagers come because they are convinced that it must be another trick. Similarly, we do not want to be "The Tester Who Cried Bug". 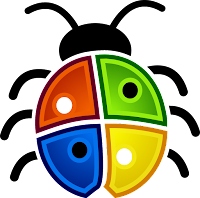 As software testers, if we repeatedly report bugs that are really user error, our developers won't believe us when we really find a bug. To keep this from happening, let's take a look at the things we should check before we report a bug. These tasks fall into two categories: checking for user error and gathering information for developers. The first thing you should always check is to verify that the code you should be testing has actually been deployed. When I was a new tester, I constantly made this mistake. It's such a waste of time to keep investigating an issue with code when the problem is actually that the code isn't there! Are you testing in the right environment? When you have multiple environments to test in, and they all look similar, it's easy to think you are testing in one environment when you are actually in another. Take a quick peek at your URL if you are testing a web app, or at your build number if you are testing a mobile app. Do you understand the feature? In a perfect world, we would all have great documentation and really well-written acceptance criteria. In the real world, this often isn't the case! Check with your developer and product owner to make sure that you understand exactly how the feature is supposed to behave. Maybe you misunderstood something when you started to test. Have you configured the test correctly? Maybe the feature only works when certain settings are enabled. Think about what those settings are and go back and check them. Are you testing with the right user? Maybe this feature is only available to admin users or paid users. Verify the criteria of the feature and check your user. Does the back-end data support the test? Let's say you are testing that a customer's information is displayed. You are expecting to see the customer's email address on the page, but the email is not there. Maybe the problem is actually that the email address is null, and that is why it is not displaying. 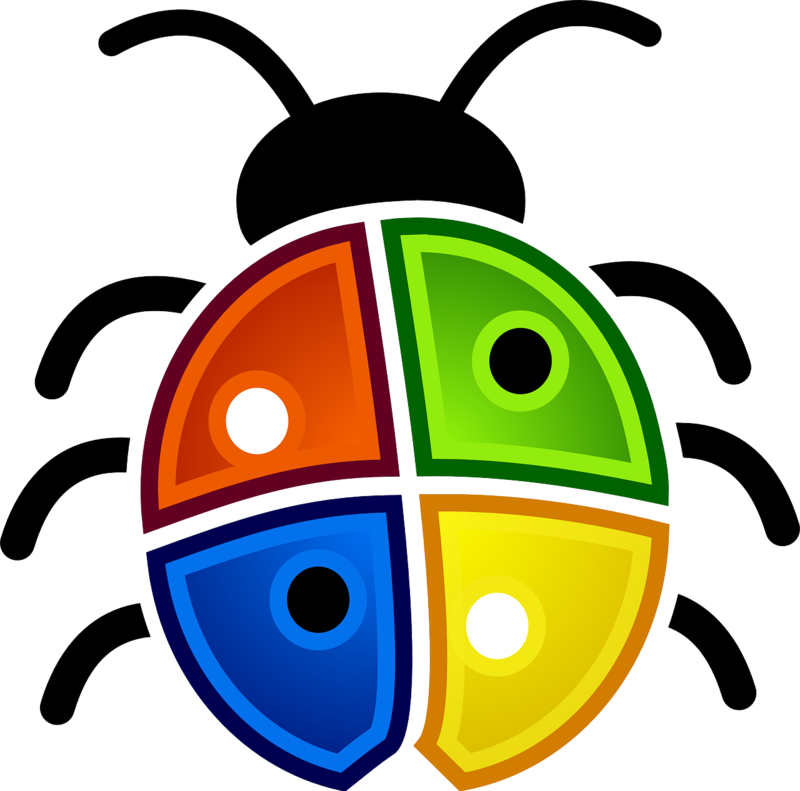 If you have checked all of the above, and you are still seeing an issue, then it's time to think about reporting the bug. But before you do, consider the questions the developer might ask you when he or she begins to investigate the issue. It will save time for both of you if you have all of those questions answered ahead of time. Are you able to reproduce the issue? You should be able to reproduce the issue at least once before logging the bug. This doesn't mean that you shouldn't log intermittent issues, as they are important as well; but it does mean that you should have as much information as possible about when the issue occurs and when it doesn't. Do you have clear, reproducible steps to demonstrate the issue? It is incredibly frustrating to a developer to hear that something is wrong with their software, but have only vague instructions available to use for investigation. For best results, give the developer a specific user, complete with login credentials, and clear steps that they can use to reproduce the problem. Is this issue happening in Production? Maybe this isn't a new bug; maybe the issue was happening already. This is especially possible when you are testing old code that no one has looked at or used in a while. See last week's post, The Power of Pretesting, for ideas on testing legacy software. Does the issue happen on every browser? This information can be very helpful in narrowing down the possible cause of an issue. Does the issue happen with more than one user? It's possible that the user you are testing with has some kind of weird edge case in their configuration or their data. This doesn't mean that the issue you are seeing isn't a bug; but if you can show that there are some users where the issue is not happening, it will help narrow the scope of the problem. Does the issue happen if the data is different? Try varying the data and see if the issue goes away. Maybe the problem is caused by a data point that is larger than the UI is expecting, or a field that is missing a value. The more narrowly you can pinpoint the problem, the faster the developer can fix it. The ideal relationship between a tester and a developer is one of mutual trust. If you make sure to investigate each issue carefully before reporting it, and if you are able to report issues with lots of helpful details, your developer will trust that when you cry "Bug", it's something worth investigating! Two weeks ago, I introduced a hypothetical software feature called the Superball Sorter, which would sort out different colors and sizes of Superballs among four children. I discussed how to create a test plan for the feature, and then last week I followed up with a post about how to organize a test plan using a simple spreadsheet. This week I'll be describing how to automate tests for the feature. child.addFourthRuleAndVerifyError(Size size, Color color)- for the tests in the InvalidRules class, it will always be the fourth child's rules that will trigger the error, because it's only with the fourth child that the Sorter realizes that there will be balls that can't be sorted. So this method will assert that an error is returned. Each test class should have setup and cleanup steps to avoid repetitive code. However, I would use child.deleteBalls() and child.deleteRules() for each child in both my setup and cleanup steps, just in case there is there is an error in a test that causes the cleanup step to be missed. All that would vary in each test would be the number of balls passed in. The nice thing about organizing the tests like this is that it will be easy to vary the tests. For example, you could have the DistributionWithNoRules test class run with 40, 400, and 800 balls; or you could set up a random number generator that would generate any multiple of four for each test. You could also set up your DistributionWithRules and InvalidRules test classes to take in rule settings from a separate table, varying the table occasionally for greater test coverage. how would I assert even distribution in a test scenario where no children have rules and the number of balls is not evenly divisible by four? 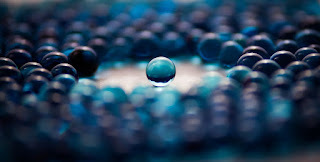 how can I show that a child who doesn't have a rule is still getting the correct number of balls, when there are one or more children with a rule? 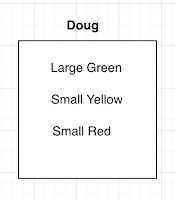 For example, if Amy has a rule that she only gets red balls, and Bob, Carol, and Doug have no rules, how can I prove that Bob, Carol and Doug get an even distribution of balls? will the Superball Sorter work with more or less than four children? How would I adjust my test plan for this? I'll leave it to you to think about handling these things, and perhaps I will tackle them in future posts. I've had a lot of fun over the last few weeks creating the idea of the Superball Sorter and thinking of ways to test it! I've started to actually write code for this, and someday when it's finished I will share it with you.